Rarely does one use the word “delightful” these days without sounding twee, however, this book is delightful – and that’s a good thing. Children deserve stories that are uplifting. We’re getting a bit bored with eco-anxiety and parents-are-envirovandals type stories. Story-telling should be about story-telling; heavy moralising belongs elsewhere. Why depress kids? We should be inspiring love and awe and letting kids be kids. 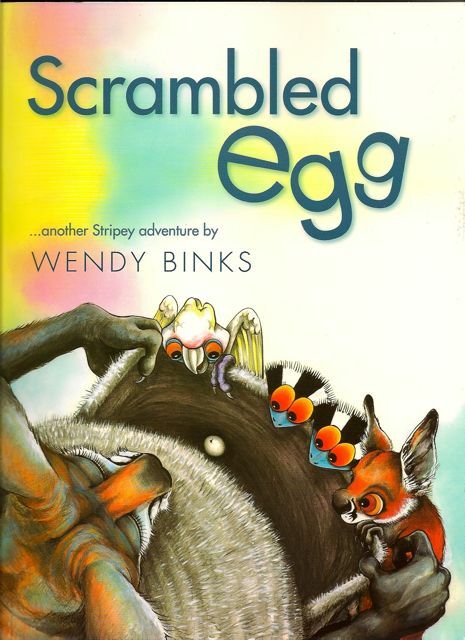 Scrambled Egg is a beautiful Australian book. It’s simply gorgeous to look at and a good read. It’s about stepping up to a challenge (finding the mother of the lost egg) and problem-solving with the help of good friends. As a bonus, children learn about Australian native animals and the amazing outback. Thumbs up. (Recommended for ages 2-10). PS. Check out Wendy’s artwork – her emus and camels will make you smile!